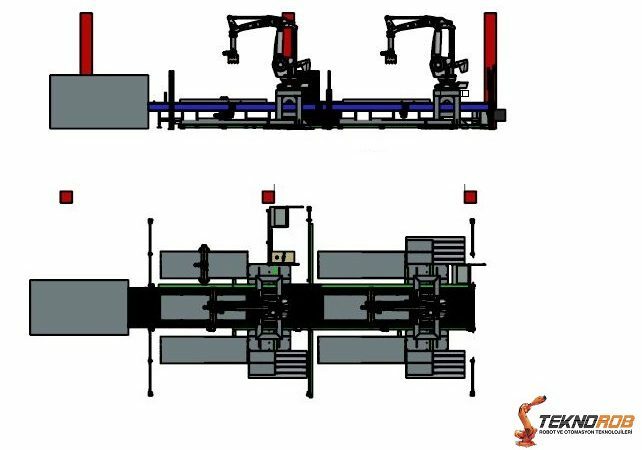 Operation of work objects on line can easily moving by industrial robots where is between positioned presses. 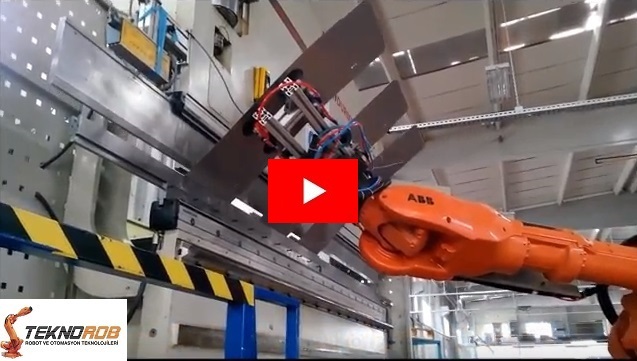 Robotic applications are performing where in front of the folding-machine and cutter in white goods and sheet metal forming industry Industrial robots are using in sheet metal bending and cutting processes where only the operations only two employees that can perform. 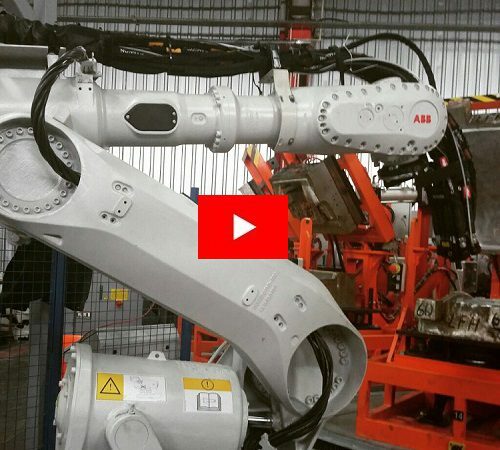 Welding applications which are used mostly on automative and general industry are performed by industrial robots. Our firm provides information about mechanic and automation systems. and paint quality can be achieved at the same time by industrial robots.Genel endüstrinin en önemli proseslerinden biri ise boya prosesleridir. 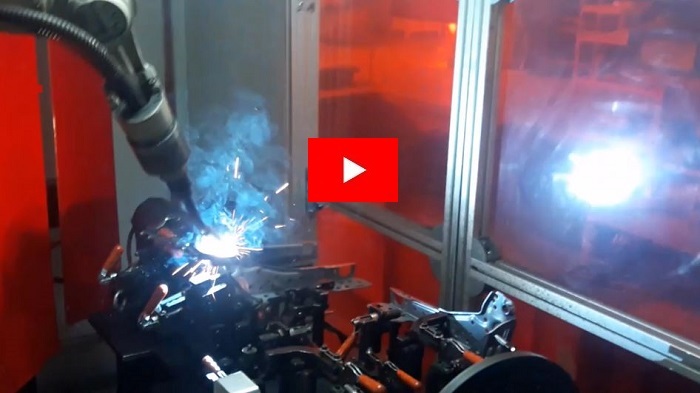 Robotlu boya uygulamalarıyla beraber boya kalitesi ve aynı zamanda verimliliği aynı anda sağlanabiliyor. Produced parts from production line are gathered by industrial robots then produced parts are aligned on the pallets with industrial robots. Rubber felt and all kind of products with aluminyum injection made, have burrs after press process onto their surface. This surfaces are cleaned by the robots easily. Teknorob service on this issue with it’s qualified staff. 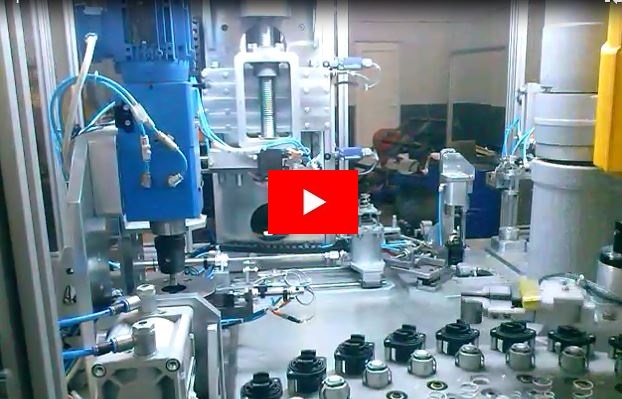 In accordance to the demands, our company is engaged in manufacturing special machines which have special automation systems. 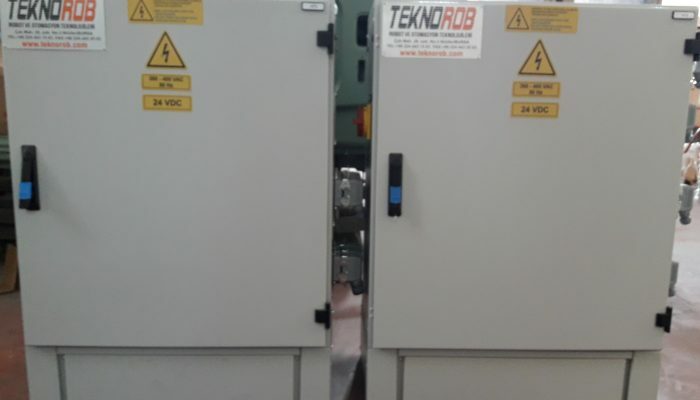 Installation on work area and assembling process are made by Teknorob’s qualified staff. 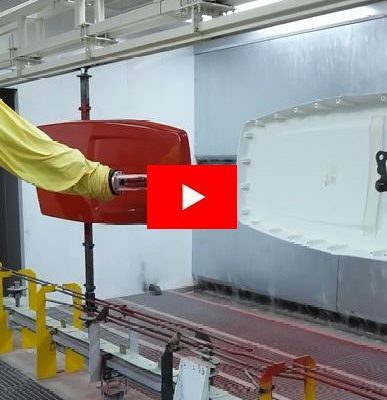 Because of quality importance, it is a process which is used for merge of parts like the vehicle doors, luggage cover etc. 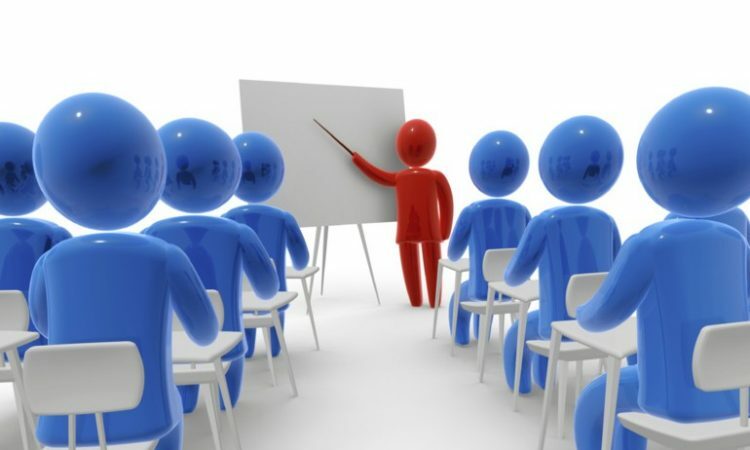 This and start-up process are realised by Teknorob’s qualified and experienced staff. Electrical project design, assembling panel, installation on area and wiring process are made by our own. Teknorob, give consultancy support for present to customers about industrial automation effectively by qualified thecnical staff. 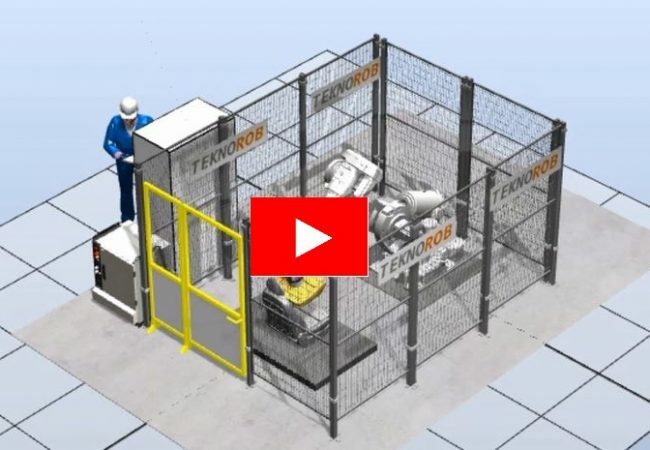 Accessing and cycle time of peripheral equipments are controlled with simulation running after designing of this arguments at all kind of robot applications. One thing for certain is that demographics are changing. Employees are getting older, which puts them at a higher risk of suffering from back pain. Diseases of the muscle tissue and the skeleton are already responsible for one fourth of all sick days. This creates enormous costs, and therefore, we need a clever solution – and we don’t need this solution someday, we need it today!